Episode 71 - Wayne Levy — How Was Your Run Today? Over the last 35 years, Wayne Levy has run more than 100,000 miles. What does he do when he’s not out running more than halfway to the Moon? He serves on the Boston Athletic Association Board of Governors and the Advisory Board for Back on My Feet Boston, and he manages RunBoston, a company that provides historical running tours in Boston. 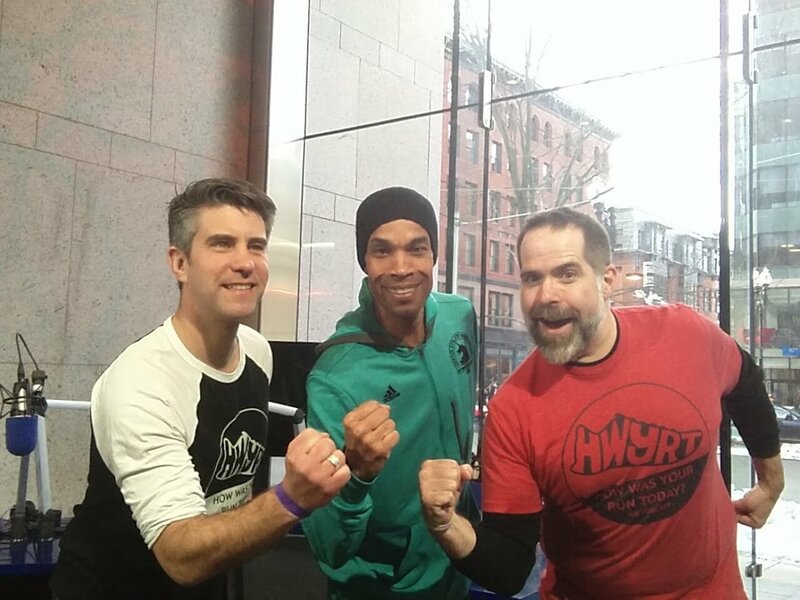 Bryan and Peter get Wayne to give them the lowdown on the benefits of running a “daily dime,” find out what happened the first time Wayne attempted to run the Boston Marathon, and go in-depth on ways to avoid injury. Plus, Peter provides an update on Week 4 of the Clyde Army Countdown. Donate to Peter's running of the 2017 Boston Marathon in support of Spaulding Hospital.